France’s regulatory agency governing online gambling matters, ARJEL (L’Autorité de regulation des jeux en ligne) has published its annual report of results for the 2016 calendar year and its forecasts and regulations for 2017 and beyond. Among the revelations: France is nearing a liquidity-sharing deal for online poker with three of its western European neighbors — Spain, Portugal and Italy. These four western European countries have each tried to go the single-nation route when it comes to regulating online poker, and each has discovered, just as predicted by numerous industry experts, the online poker would wither on the vine due to a lack of liquidity: The populations of each of these nations are just too small, individually, for the peer-to-peer game of online poker to grow. Instead, these counrties have seen shrinkage in their online-poker participation bases. That means less tax revenue, hence the need to adapt. Rumors that France and at least some of the other three firewalled countries have been talking about a liquidity deal have circulated for some time. The news is that all four countries are involved, and that ARJEL has made these talks’ existence official. As early as 2012, and concerning the first discussions around review the [existing online gambling] law of May 12, 2010 – which was when they occurred – ARJEL has argued in the interest of this measure especially regarding the [liquidity sharing] with foreign operators, was initially allowed (or considered) for sports and horse racing. The multilateral convention defining the modalities of implementation and control with all partners (Italy, Spain, Portugal) is currently under discussion. The agreement should be signed in June. – To process [operator] applications for the approval of game software. This much-anticipated measure should, thanks to a greater volume of liquidity, increase the attractiveness of the approved poker market while battling illegal sites. 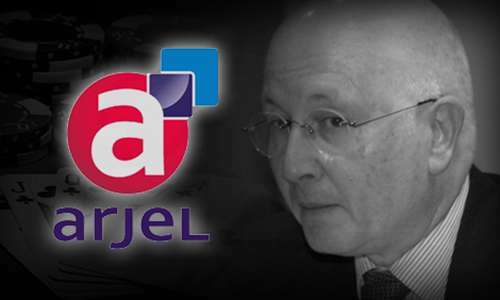 The President of ARJEL is aware of the importance and urgency of this opportunity for the approved deal, and shall make every effort to ensure that it takes effect as soon as possible. The ARJEL report also contains interesting information regarding the state of the current French online-gambling market. We’ll return with a feature on that at a later date.